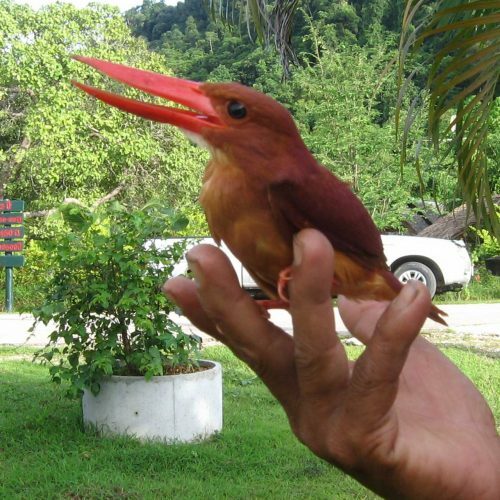 Khao Sok is home to a wide diversity of birds, including many rare and unusual species - open your eyes to the avian life above you! 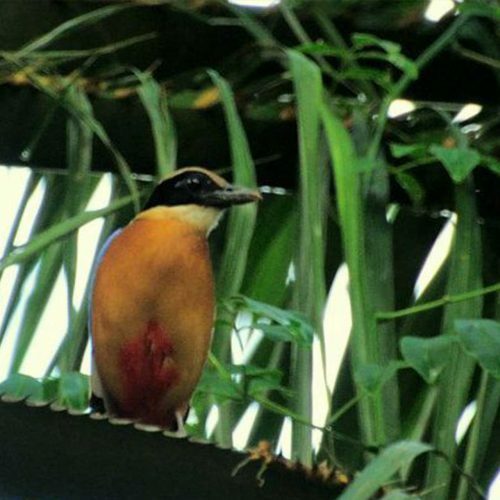 Depending on the time of year, there will be different kind of birds you can see during a half day tour. 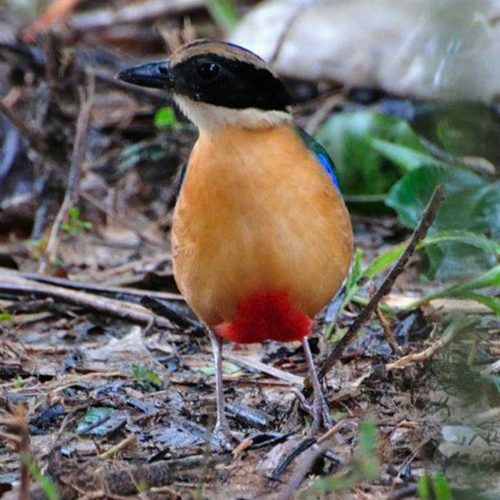 Our experienced guide will take you to the jungle, the river, the plantations, or open fields and will explain about bird behavior as well as familiarise you with each of their unique calls. 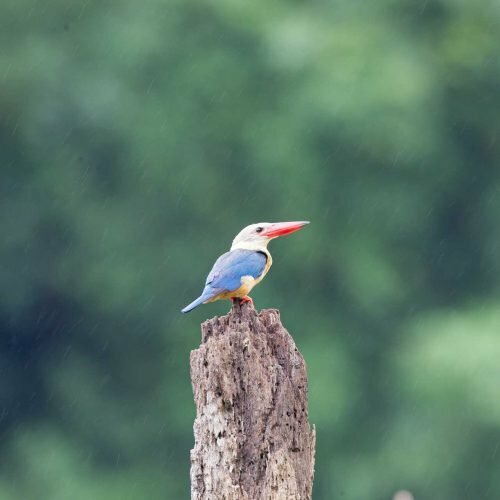 Uncommon birds that can be seen on the property at Our Jungle House include Great Hornbills, Blue winged Pitta, Hooded Pitta, Barbets, Sunbirds, Bee-eaters, and several types of Kingfisher. 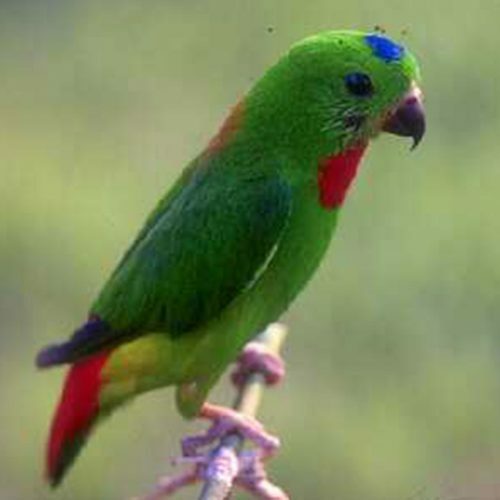 Let us know if you are interested to do a full-day or an overnight specialised trip focusing on bird-watching. 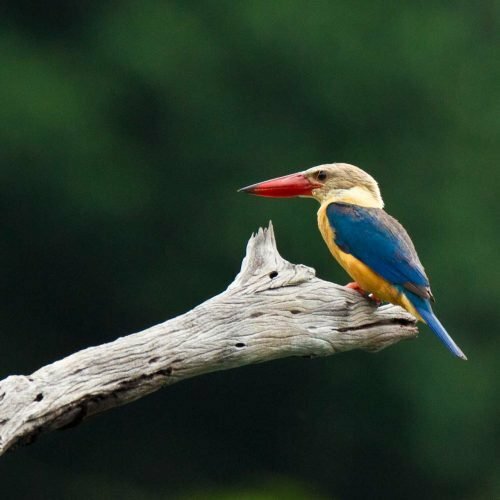 We can arrange a special trip to Klong Sang Wildlife Sanctuary over Cheow Lan Lake. 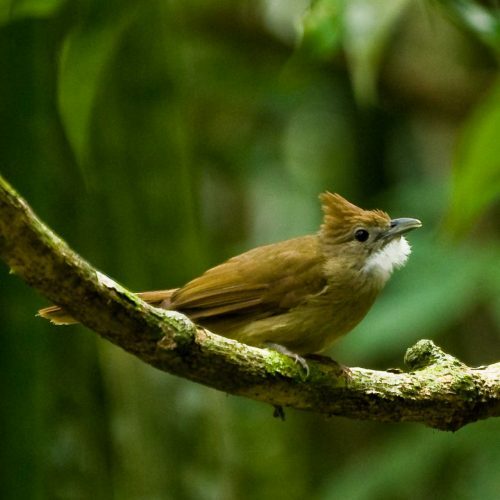 Depending on migration seasons, this birdwatching tour can take place within or outside of the national park. If it takes place within, the park entrance fee of 300 baht per person is not included in the tour cost.